The Patriotes of Lower Canada became notorious for uprisings in 1837-1838 that prompted a bloody crackdown by the colonial authority. The battles that resulted from this escalating violence left quite a mark on the imagination and history of a modern-day nation unused to armed conflict. But most Quebecers today know little about what led to these events. In the years before the rebellion, the demands for greater power for elected officials and for recognition of the Canadians' rights were at the heart of an ideological struggle between the Patriotes and a coalition loyal to the system in place under the British crown. 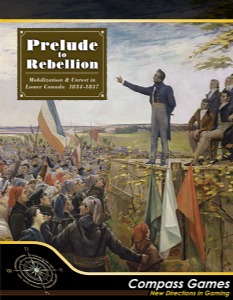 Relive the history of the famous characters who shaped the province of Quebec in a strategic duel where each turn will bring plenty of unique tension and excitement!